Hi guys , I purchased this figure on eBay because I thought it is interesting. 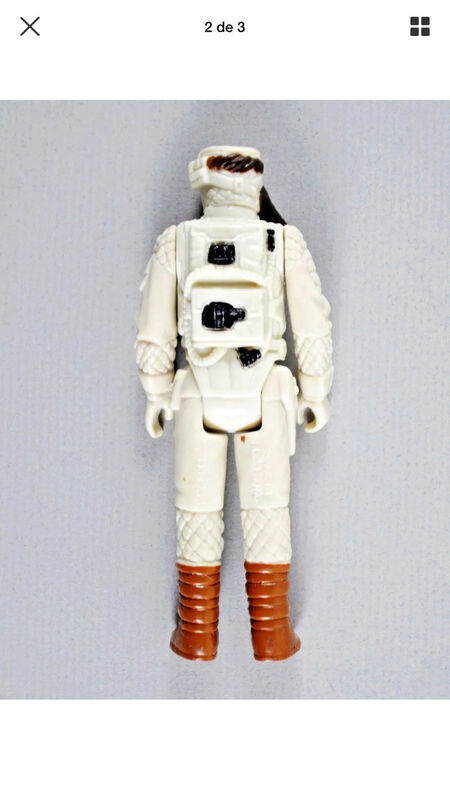 Seller claims to be an original figure, its color seems whiter than the standard tan from Kenner. I have no reason to think this is a mistake. Then his boots are a vivid red brown color and there is even a drop of the same paint color where the right leg begins. The scarf is very dark brown. Please see pictures , I should receive the figure in a few days so I can inspect further. 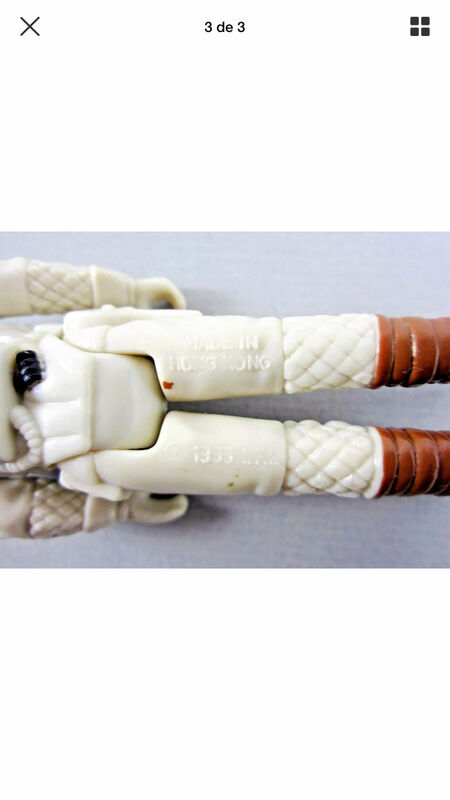 My initial thought is this looked like a PBP figure , I vaguely recall seeing figures like this being sold in Mexico (likely imported from Spain) but is this a documented variant? I have looked into the guide for this figure but can’t find anything about this unusual figure. Thanks in advance, let me know what you think !! The lighting can cause contrast and color changes, so wait til you get the figure to make a final judgement. That being said, the figure does appear to be very white in the photo. The COO does appear to match the POCH. However, one characteristic of a POCH is that the mustache is lopsided. I do not see this with your figure. Another characteristic is a melt mark on the back side. I also do not see this on your figure. 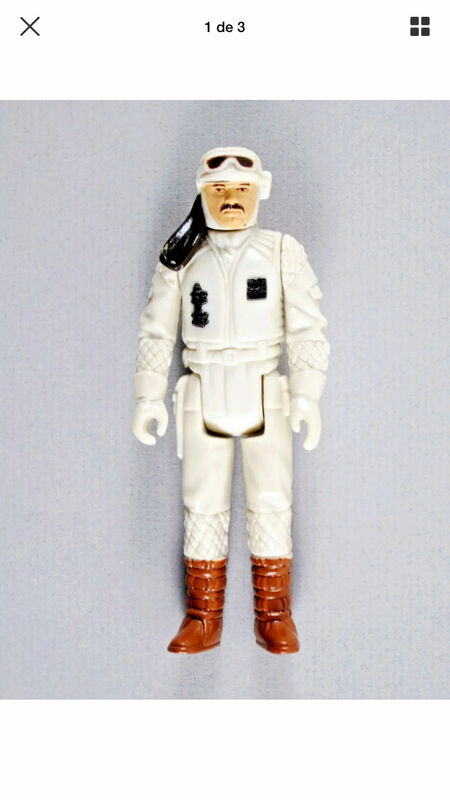 I would guess that this is a "regular" Kenner figure, albeit a very nice one in good condition. Please allow others to weigh in on your figure. I would be interested in their opinion as well. Thanks much bababooefett , will see how the figure looks once I get it. I just hope the figure is not one of those ”restored” or modified in any way. I just got a star destroyer death squad that seems custom painted , I will post this star destroyer comparison when I am done comparing. It looks like the original paint. The edges of the paint look genuine, along with the paint wear with the scarf, leads me to believe it was not repainted. So I think you're good there.